Despite the fact that they might not always be practical, electric vehicle conversions are becoming a bit more common. 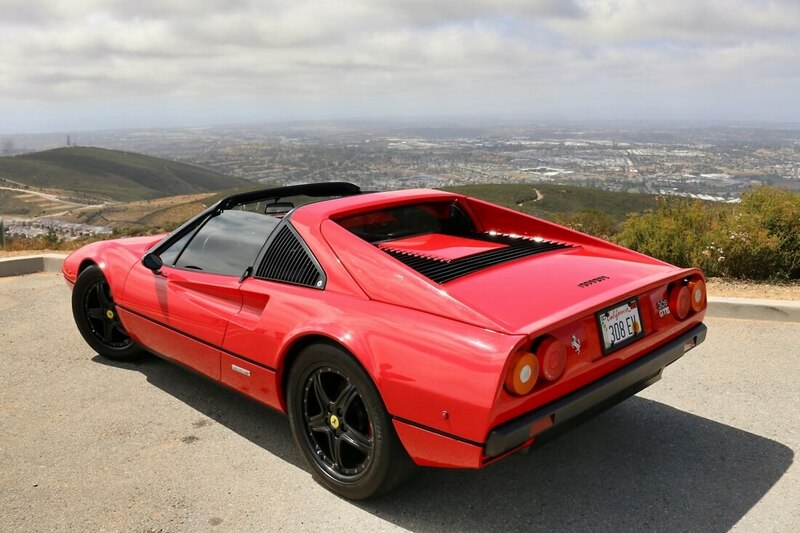 Such is the case with this 1978 Ferrari 308 which foregoes the standard V8 in exchange for an all-electric powertrain. Eric Hutchinson picked up a salvaged 308, the victim of an engine fire, for around $10,000 and worked with a company called EV West to develop an electric powertrain that utilizes three electric motors. The motors are arranged in a V pattern to fit the 308’s engine bay and are connected via a system of belts and pulleys. Combined, they generate 415 horsepower and 330 pound-feet of torque, or nearly 200 more horsepower and 121 pound-feet of torque more than a stock V8 generates. Putting the power to the pavement is a manual transmission pulled from an old Porsche parts bin. That power comes courtesy of 48 3.3-volt lithium-ion batteries. All said and done, the car tips the scales at 3,350 pounds which is just 150 pounds heavier than stock. Aside from the fact that you can say you own an electric Ferrari and the additional power it generates, the modified 308 is virtually silent – that may or may not be a good thing, depending on who you ask. Something else that isn’t all that stellar is range; the car is good for just 80 miles on a full charge (and far less if you’re goosing it around town, I’d imagine).